An undulating circuit around Ross-on-Wye, including the River Wye to 'Hole in the Wall', then up across Eaton Park to reach the 'Burnt House' with its Civil War connections, Crow Hill, Upton Bishop, Upton Crews, Weston Under Penyard, an old Roman town called 'Ariconium', Howle Hill and Cubberley, with an easier alternative from Weston. The Original Ross Round (ORR) is still waymarked and after Hartletree Water it turns off the Ultimate Ross Round (URR) and makes its way via Bolitree Castle to the village of Weston under Penyard with The Weston Inn. The onward route then passes Weston Church and it is only a mile or so further before it joins up with the URR at Parkfields. 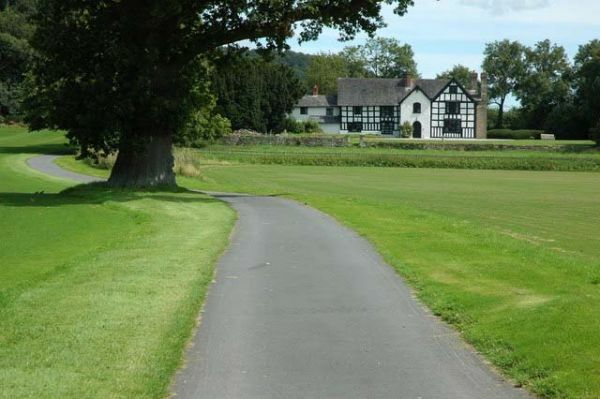 Apart from these two main routes, it is also possible to walk just The May Hill Loop with a connection to and from The Weston Inn which is 15 miles and there is also an additional and very scenic walk mainly on the western side of The River Wye which is 12 miles and is known as The Loughpool Loop. Both the URR and the ORR are well served by the frequent Gloucester to Ross bus service.